Great chefs and very popular characters at national and international level are the godfathers of the Mollar pomegranate from Elche. Among them, is Chef Paco Roncero, which boasts 2 Michelin stars, 3 suns Repsol and was jury of the third edition of the TV show Top Chef. 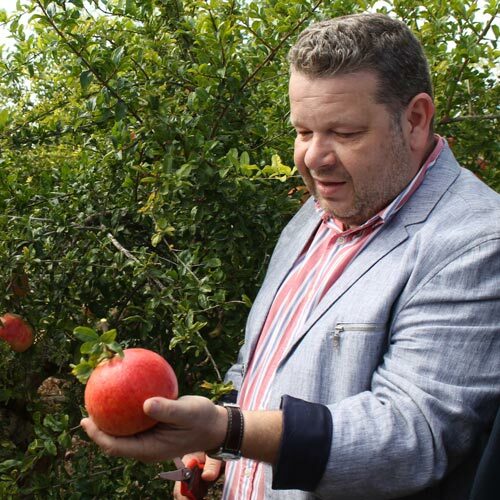 Roncero opened the 2015/2016 campaign and during the ceremony said * “the Mollar Pomegranate from Elche is a terrific health product with great sweetness and flavour” *. Roncero picked up the baton of his fellow teacher and program, the chef Alberto Chicote who was the Godfather of the 2014/2015 campaign. In that event, the popular chef and TV presenter said *“the Mollar Pomegranate from Elche has a lot of rock & roll” *. Chicote was accompanied as guests of honour by Yayo Daporta, 1 Michelin star and Top Chef jury; Susi Diaz, Elche’s famous chef, from La Finca restaurant, 1 star Michelin and Top Chef jury; Jesus Sanchez, 1 Michelin star; Fina Puigdevall, 2 Michelin stars; and the master pastry chef Paco Torreblanca. The Godfather of the 2013/2014 season was the matador *Jose Maria Manzanare*s who confessed that in one of his trips suffered dengue and his doctor prescribed him to drink pomegranate juice every day. 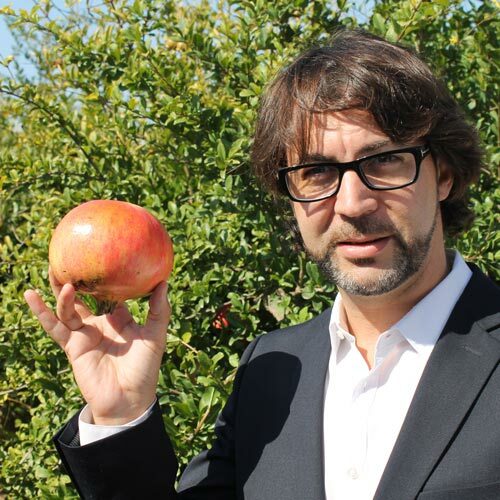 In 2012/2013 the person in charge of inaugurating the season was the chef Quique Dacosta, 3 Michelin stars; who he said that *“the Mollar pomegranate from Elche is vegetable caviar” *. In the previous season the Godfather was the pastry chef Paco Torreblanca and in 2010/2011 the head chef of Restaurant La Finca of Elche, Susi Diaz, 1 Michelin star.